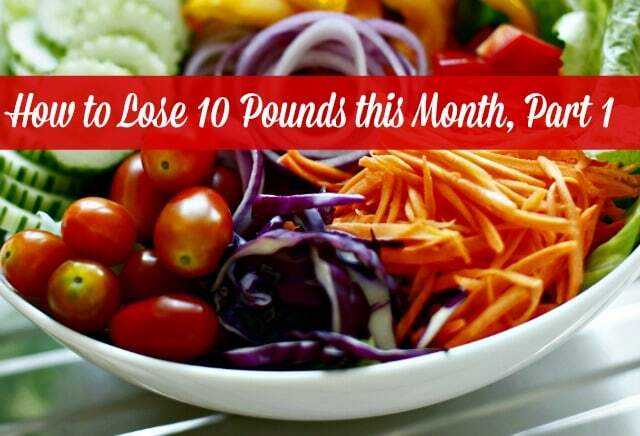 Do you want to lose 10 pounds this month? Have you gained some weight over the past few years? Do you feel frustrated with the way you look and feel? Do you need to lose 10 or 20 or 30 pounds? If so, I know exactly how you feel. I’ve been at the point of needing to lose 10 to 15 pounds – and not being able to do it – for a long time. It’s so frustrating! Clearly, losing weight isn’t easy. It takes a fair amount of time and effort, plus the right eating plan, to make it happen. And you don’t have much time or energy to devote to it – as a busy wife and mom, your schedule is already full. But if you’re like me, you really, really want to lose 10 pounds this month! If you’re experiencing the frustration of wanting to lose weight, get healthier, and feel great – but haven’t been able to do it – then I have a 4-week weight loss program for you. It’s designed to avoid the frustration of previous weight loss efforts by helping you make the very best use of the time and energy you do have and helping you lose 8-10 pounds in about 4 four weeks. This plan helps your body get out of the cycle of craving high-carbohydrate foods (sugar, bread, pasta, baked goods, etc.) It’s designed to reduce your intake of sugar and carbohydrates and to increase healthy foods that help minimize carbohydrate cravings – primarily vegetables, lean protein and healthy fats. • Eat a lot of these – Eat vegetables, protein and healthy fats at every meal. • Eat a little of these in Weeks 2-4 – eat one or two servings per day of complex carbohydrates per day; one can be a serving of fruit. Don’t eat any other foods that are primarily carbohydrates. • Drink – Drink lots of water throughout the day. This can include some tea and coffee, without sugar or artificial sweeteners. • Avoid junk – Don’t eat junk food, processed food and most restaurant food. • Avoid sugar – Don’t eat sugar or foods with added sugar. • Don’t drink – Don’t drink sodas (including diet), alcohol, fruit juices, or any drinks with added sugar. • Vegetables – tomatoes, peppers, lettuce, onions, celery, carrots, zucchini, squash, mushrooms, green beans, sugar snap peas, leafy greens, broccoli. Eat lots of vegetables! • Healthy fats – olive oil, avocado, coconut oil, nuts. Include a moderate amount in every meal but be aware of how much you’re eating, because fats are important for weight loss but are also high in calories. You can also download a printable Example Foods List here. I’ll be honest – this kind of diet isn’t easy to follow at first, especially if you’re like me and love carbohydrates. In fact, if you’ve been eating a lot of high-carbohydrate foods, you may feel bad for the first few days. When I started eating this way, I felt tired, headachy and generally “off” for about four days. After that, though, I felt great. If you do feel bad during the first few days, you can add a bit more complex carbohydrates. If you feel okay but not great, try to stick with the plan and see if you feel better within a day or two. (See the Getting Started section below for another way to make the diet a bit easier.) And of course, if you have any health problems, talk to your doctor before starting this or any weight loss plan. Several days before you start the eating plan, begin easing foods that aren’t on the plan out of your diet, particularly if your diet is high in sugar or other carbohydrates. (In other words, if you’re a huge carb lover like me!) Week 1 is a low-carb diet which, let’s be honest, can be difficult to follow if you’re used to a high-carb diet. So start decreasing high-carb foods, especially sugar, foods with added sugar, and “white” carbs, a few days before you begin the diet. Remember that the goal in Week 1 is to eat vegetables, protein and healthy fats almost exclusively, if at all possible, with no more than one ½-cup serving of complex carbs per day. This approach should jump-start your weight loss and help your body break out of the sugar-carb craving cycle. Tomorrow, in How to Lose 10 Pounds this Month, Part 2, we’ll talk about simple things you can do to set yourself up for success, what to expect during Week 1, and how to use “off plan” meals, beginning in Week 2, to stay motivated and keep yourself from feeling deprived. Want more weight loss information and support? This 4-week eating plan is based on my ebook, The Busy Life Diet – Healthy Weight Loss for Women on the Go. The ebook includes a 6-step approach to losing weight, including how to establish a mindset for success, what to eat, how to exercise, and how to make the plan work in the midst of your busy schedule. It comes with a Quick Start Guide and access to a private Healthy Eating – Healthy Weight Facebook group. 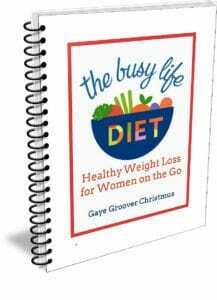 Use the code FRIEND50 at checkout to save 50% on The Busy Life Diet – regularly $9. 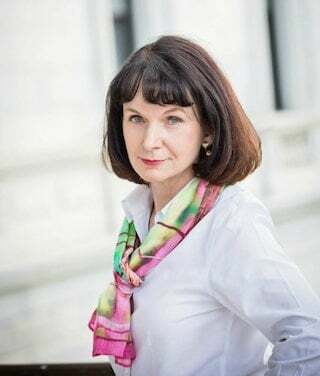 I’d love for you to check it out or, if you have a question about it, comment below or send me an email (gc @ calmhealthysexy.com).